There is nothing like new Stampin’ Up! Occasions Catalog products and a Sale-A-Bration promotion to get your creative wheels turning. I’m having a ball crafting with new dies, stamps, pretty paper, and embellishments. If you are passionate about paper, stamps, and ink, it’s a fantastic time to purchase a starter kit, join Stampin’ Up! (risk-free with no further obligation) and enjoy those new products at a minimum of 20% off. Happy shopping & SAVINGS! Purchase the starter kit in January and receive a 20% discount (25% if you reach $1800 in rolling 12-month sales) on additional demonstrator purchases thru a minimum of July 31, 2019. This window of time includes enjoying your discount on the 2019-2020 annual catalog pre-order products (May) and launch (June)! BE PART OF STAMPIN’ UP! & THE PALS STAMPING COMMUNITY! 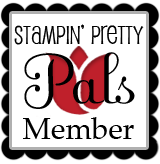 Purchasing the starter kit and joining through me includes access to the Stampin’ Pretty Pals Pals, led by Mary Fish, my upline, that includes private Facebook groups and community. 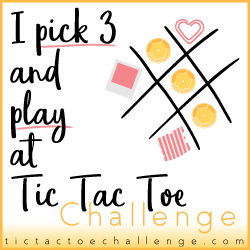 Immerse yourself at any level you like in daily stamping discussion, prizes, polls, ideas and inspiration, recognition, friendship and fun! IT WILL CHANGE YOUR CRAFTING FOREVER! TRUST ME! I ABSOLUTELY LOVE IT! CONTACT ME HERE IF YOU’RE INTERESTED IN BEING A PART OF THE UP NORTH STAMPIN’ TEAM! THERE’S NEVER BEEN A BETTER TIME! Previous Post January BIG PRIZE DRAWING: You’ve got 11 More Days! Next Post 13 Free Products for Sale-A-Bration!